After shocking the world in 1962 with his famous Campbell’s Soup silkscreens, Andy Warhol surprised the art world a couple of years later with his Brillo Boxes which are our Key Pieces of the week. 1. They are wood sculptures with silkscreen prints. 2. The Brillo Boxes embody one of America’s most typical product: soap pads from Brillo used for cleaning dishes. 3. They were first shown in 1964 at the Stable Gallery in Manhattan. 4. Arthur Danto, a Warhol expert, said, he felt like witnessing ‘the end of western art’ when walking out of the exhibition. 5. The series begun when Warhol asked his assistant Gerard Malanga to buy ordinary items at the supermarket to raise questions concerning the way we identify and value something as art. Malanga came back with Campbell soups, Del Monte caned peaches and Brillo soap boxes. 6. 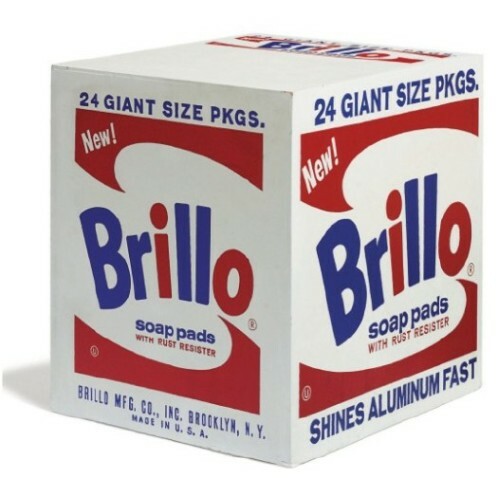 Warhol’s Brillo Boxes are precise copies of the original ones. 7. At first sight, the finished original sculptures are indistinguishable from their cardboard supermarket counterparts. 8. The Brillo Boxes are empty, filled with nothing but air. 9. 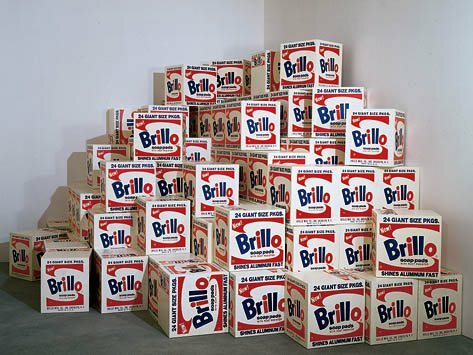 Curator Pontus Hulten created close to a hundred Brillo Boxes for a retrospective at the Moderna Museet in 1995. The Boxes were therefore created after Warhol’s death which give way to a scandal when the story was discovered. 10. The first Brillo Boxes were difficult to sell as Eleanor Ward, art dealer at the Stable Gallery, mentioned. The first Boxes ranged from $200 to $400 in 1964. Until today, their value increased extraordinary. In 2006 a Brillo Box was sold for $710’000 at Christies’ New York. 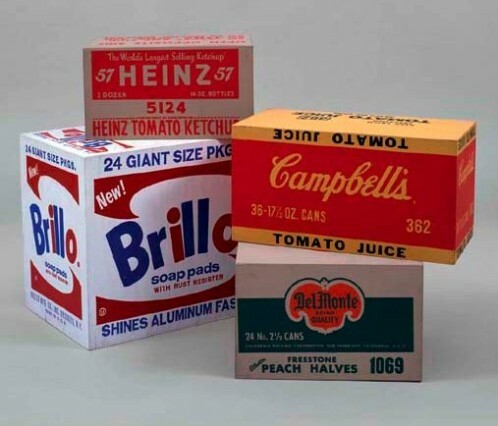 Andy Warhol, Brillo, Campbell, Del Monte and Heinz Boxes, 1964, Screenprint and ink on wood.